Discover the surprises of old Lisbon, the riverside and it´s #1 Park- 4 hours. 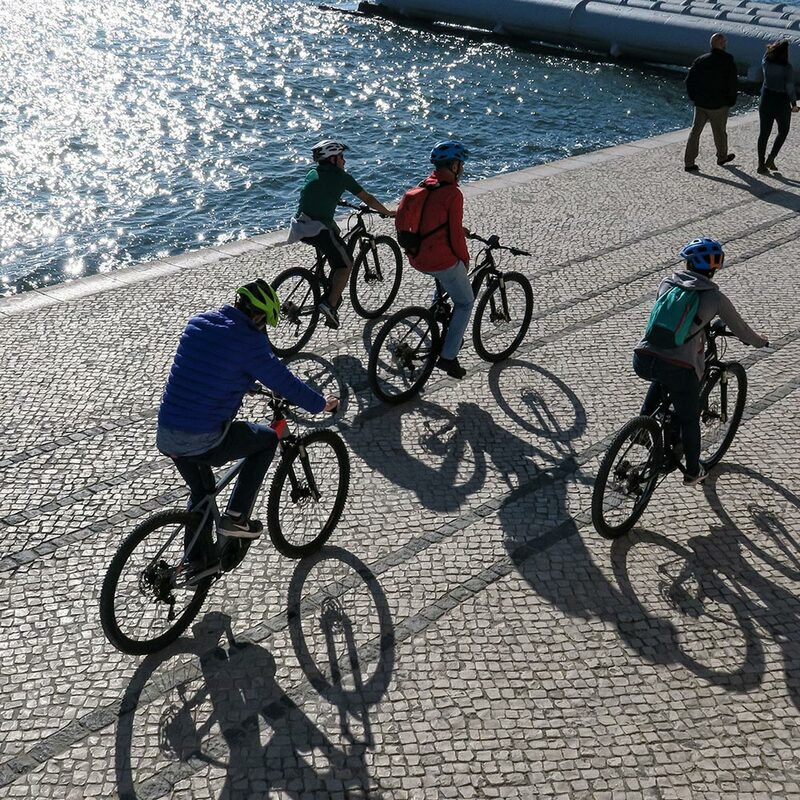 As part of our Lisbon e-bike tour, we’ll stop at the main sites of downtown Lisbon, cruise along the river, sample a delicious picnic, and ride through the best Park of Lisbon. Riders of mixed abilities can now ride together in our Lisbon e-bike tour. 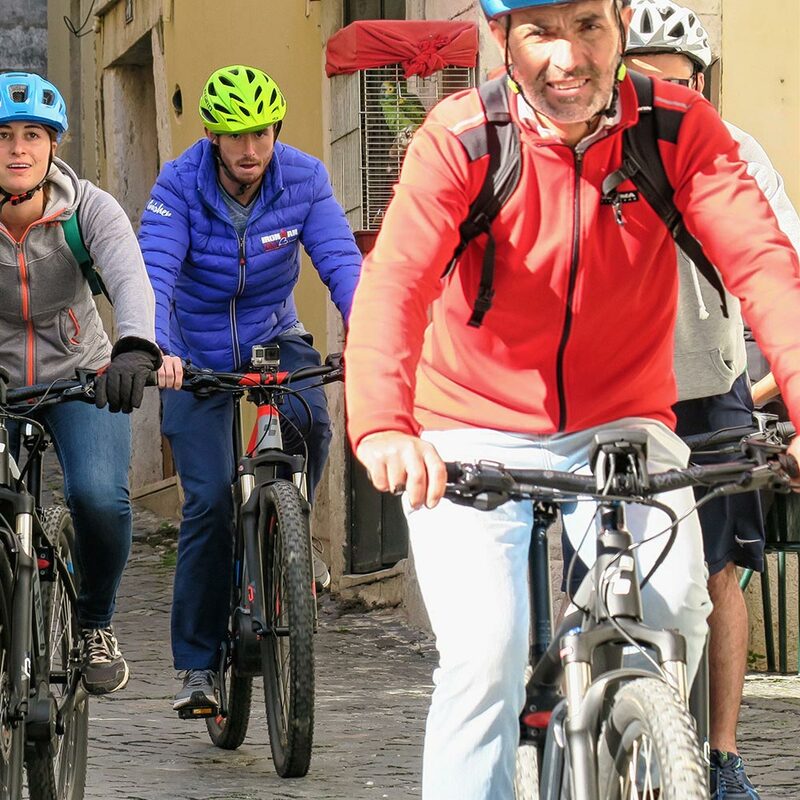 From the traditional streets of downtown Lisbon to the relaxing river ride and across the Forest Park of the capital, there are three “faces” of our capital city waiting to be discovered in this e-bike tour. Let´s wave to our marvellous e-bikes, thanks to them we keep going up to the best hidden gems in the city and no need for cyclist legs. 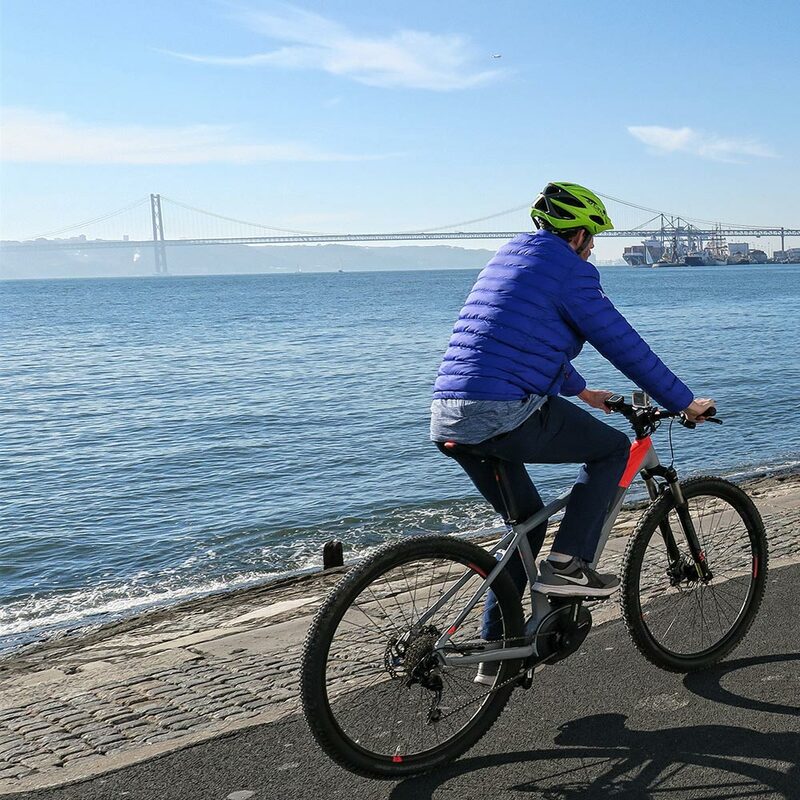 This 23 km ride showcases the best spots Lisbon has to offer, with the ease and joy of an E-Bike. Some people may call it cheating, we call it fun and no sweating! 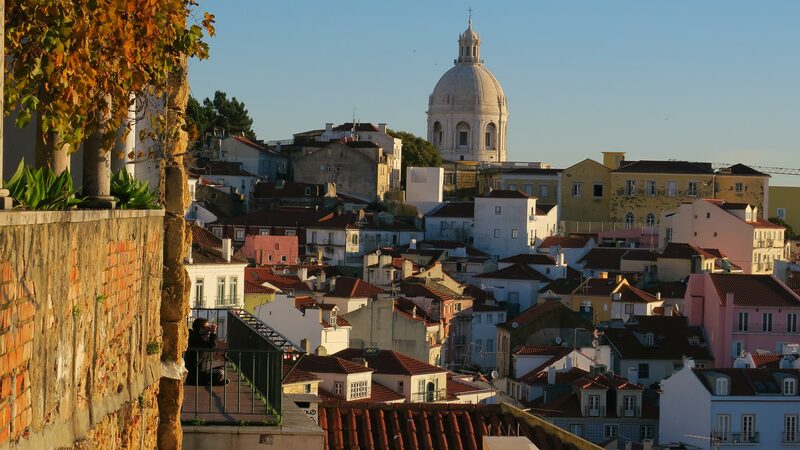 Lisbon, a city known for its light and its hills, both in a vibrant harmonie of seven, from red to green, from romanesque to baroque, orange to blue, from silvery sardines to Japanese ”chá”, yellow on every street car, violet for the melancholic “fado”. All this combinations and diversity make Lisbon a really interesting city, especially when you add the local people to the equation. This is what we want you to explore with us in our Lisbon e-bike tour! Be as creative as you please, along our visit you will not be short of experiences, port wine red, African indigo, white sails, salted breeze, fresh fish, castle walls, street art, cobble stones, golden altars, new sounds, old books, unpronounceable words, smiles, and silent blue tiles. Come and cycle Lisbon in a e-bike tour, a rainbow for your senses. More interested in cycling by the river and exploring main market of Lisbon? Try the Along the river and the market tour. Or go private with us. 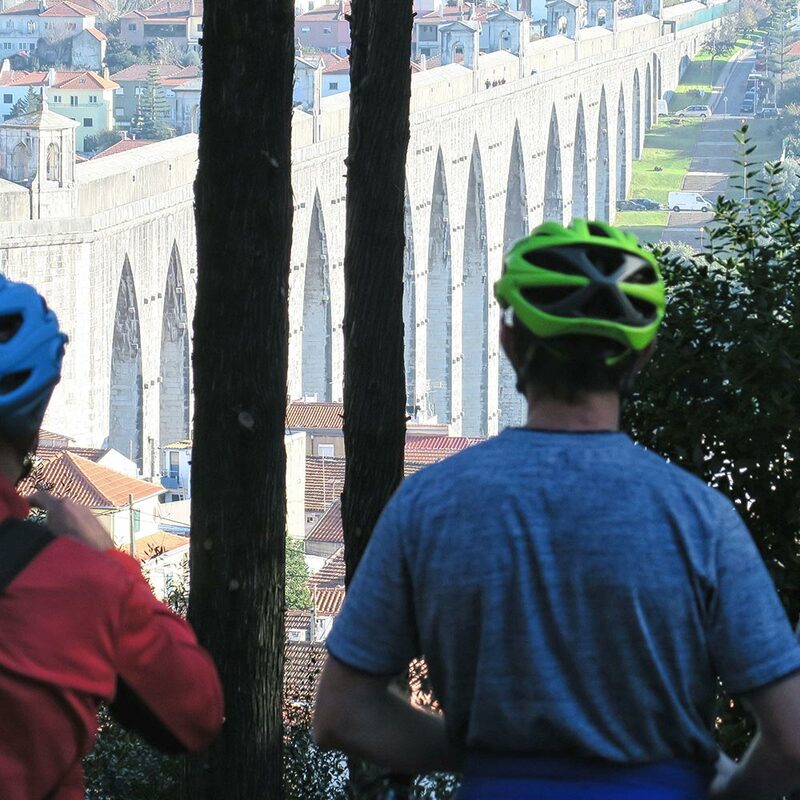 Why take THIS tour, Why THIS tour with Cycling Lisbon? We are the ONLY tour company doing this combination of a urban environment and a Forest Park. We choose to lead a Lisbon e-bike tour involving both because it really gives you 3 different “visions” of the same city. Here, in this Lisbon e-bike tour, like in all our tours we refuse to pass out the generic, scripted tour info. Who might not enjoy this Lisbon e-bike tour? 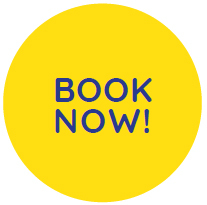 Price – 67€ Do you prefer a Private Tour? Duration – 4 hours – Do you prefer a Full Day Tour? Difficulty – Beginner/Intermediate. Be confident on the streets with your bike. Inclusions in our Lisbon e-bike tour – Helmet, our famous Pic-nic, bottle of water, Nata pastry, Cherry Liqueur, sunscreen, bilingual guide and your machine (bike). 10:00 am: We will spend some time getting to know each other and the bikes. Once you are kitted out with helmets we begin our pedaling through Lisbon. 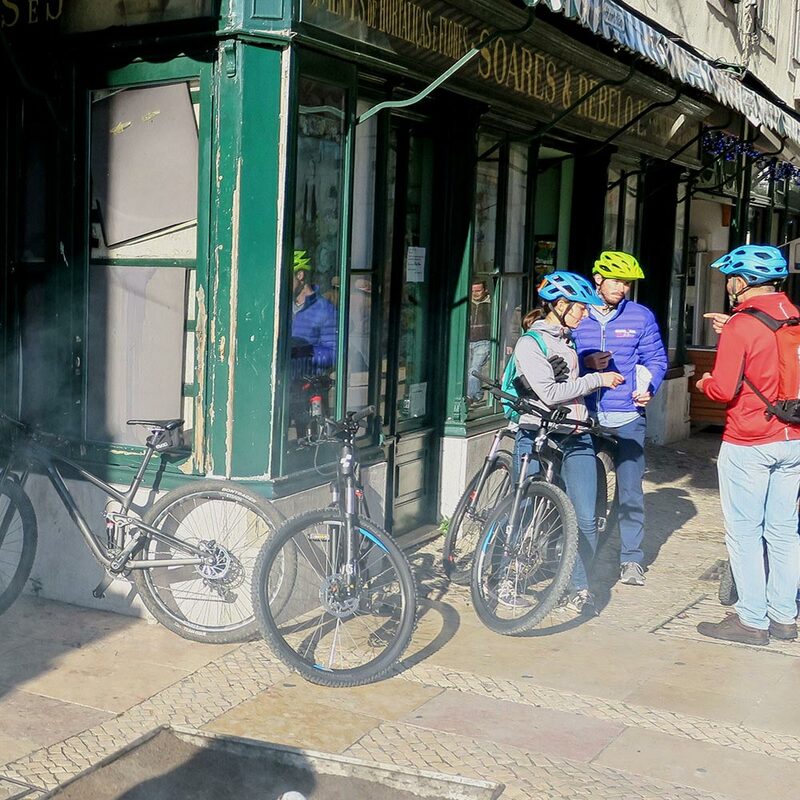 10:30 am: In this Lisbon e-bike tour, we’ll start cruising down the main boulevard of the capital, passing Restoration Square and diving into the lower district of Baixa where we will taste the traditional Lisbon Liqueur. Time to learn about a sad episode of our history, it happened in this square. 11:15 am: Here you will experience the traditional side of the city and a step back in time to the enlightenment period, we mean: this neighborhood can be considered Europe’s first example of urban planning. Streets are named after traditional crafts and businesses. Originally the area was governmental and commercial and, today, consists mostly of restaurants, shops and city commerce. 11:45 am: Why did we built such a huge square here? The King had to have control over the spices, silk and other goods that were transforming Lisbon into the wealthiest capital in Europe (for a certain time…). What better than have the Palace built by the river, the dock and the customs next door? It´s good to be the King and collect the taxes! We will go up to the top of the Big Arch you can see in the picture. 12:15 am: Life is really easy and pleasantable and along the water. We will see joggers, other bikers, people getting some tan in the outdoors cafes, some sailing boats and lots of light! The most recent Museum MAAT is a great place to stop for pictures, in this Lisbon e-bike tour! 1:00 pm: We´ll pass in front of the Coaches Museum which houses the world’s largest collection of Royal Coaches, next door is the home of Portugal’s President (let´s wave!) and up we go for a ride under the arches of Ajuda Royal Place. Although this palace was never completed as planned due to the exile of the royal family in Brazil caused by the French invasion of Portugal, it is still one of Europe’s most perfect romantic buildings. Firstly it was a wooden building – commonly known as the Royal Hut, which burned to the ground – and then as the Palace as it is nowadays. And it´s located in a district where people live, not a Disney-esque tourist site. 1:30 pm: High upon the Hill is the Monsanto amphitheater and our favourite viewpoint. A splendid open space and panoramic views over the river as well as the bridge. It´s much more peaceful than other overcrowded Miradores and only locals will be spotted here. Take the Green Corridor of Lisbon, Monsanto Forest Park, the largest green space in Lisbon, is a kind of wild but controlled wood, dotted with eucalyptus, Cork and pine trees. 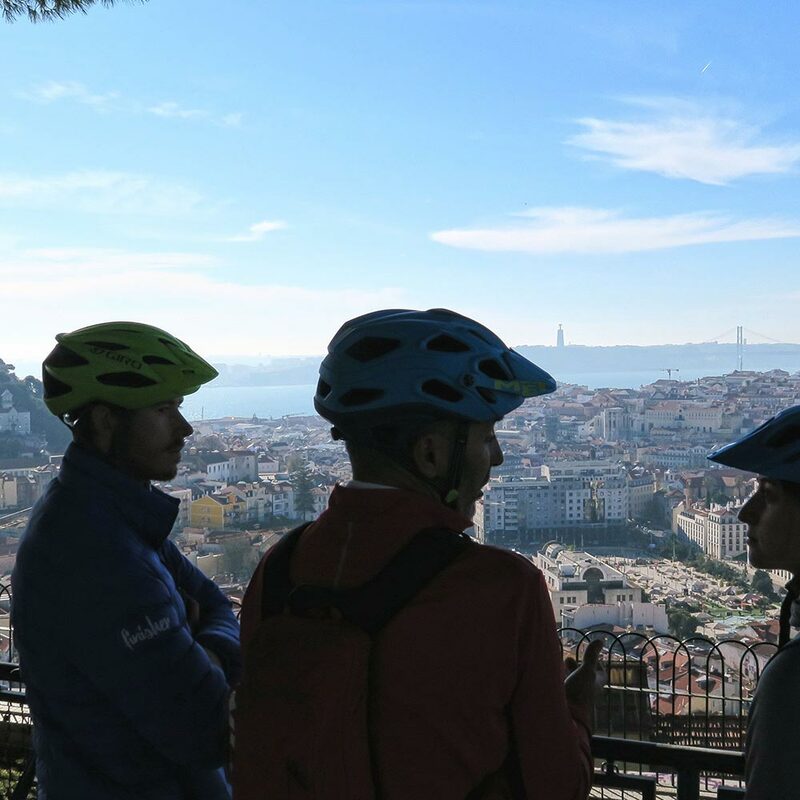 Now, if this Lisbon e-bike tour isn´t a great way to see Lisbon we’ll quit and swift to something else.